The Medaka Mermaid Quintuplets are five tiny young mermaids who are friends with Keimi. Their names are Ichika, Nika, Sanka, Yonka, and Yonka Two. 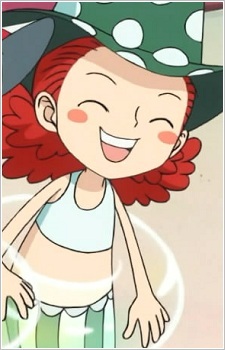 Ichika is a redhead with a green-striped tail, her top is white and her hat is green with white polka-dots.